For the last several years, the two topics that dominate the beer industry are: why are the domestic light beers losing share and why are crafts growing at warp speed? In every form of communication including, industry publications, social media, beer conventions, and main stream media, not a day goes by without either one or both of these hot topics being discussed. 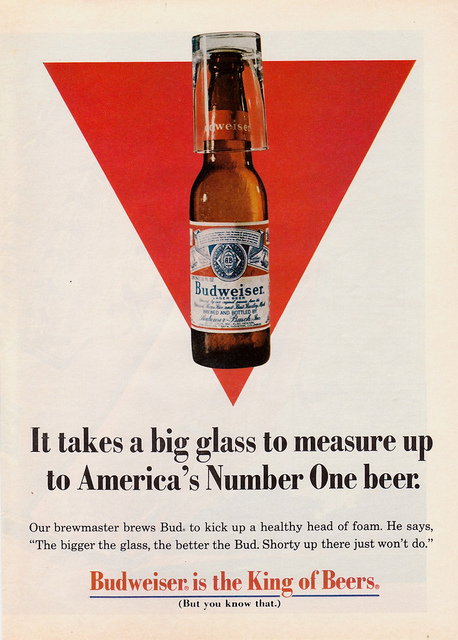 A large part of the negative trends of the domestic light beers has been attributed to their advertising. Much of the advertising is deemed ineffective, lacking in any clear message, and basically does not develop any equity in the brand. Note the recent AB ads during the Super Bowl game. Two of the ads were ranked in second and fifth place in overall effectiveness by ad industry experts, yet the ads had little to no effect on the negative sales trends of Budweiser. These results, once again, support what the industry believes is the overall issue of ineffective messaging for the brands. Soon after I had signed a letter of intent to buy the Schlitz distributorship in South Texas, the seller retained the law firm, Fulbright and Jaworsky, a large, politically connected firm. We had to counter that selection with Vinson and Elkins. The result of those decisions meant it took months to execute a simple buy/sell asset purchase agreement. The lawyer handling our side had a number of trophies in his office commemorating his clients’ successful deals. I asked if there would be another trophy for the Texas Beers agreement and he indicated there would be. For him, it was all about the number of trophies on his desk. Until the last decade, it was highly unusual for a brewery to be owned by a corporation. Breweries, like wholesalers, were usually family-owned or headed by someone whose family had a long history with the brewery. Even with Philip Morris’ purchase of Miller Brewing Co. the head of the brewery, John Murphy, became the face of Miller and turned into a great beer man. He had a real passion for Miller. Regardless of their management style, the Busch family was the face of AB for decades. AB’s success was attributed to the leadership of that family. The corporate world today is focused on shareholder equity, families focus on brands and their family of wholesalers. Coors, even with some troubles, continues to do better than industry trends. Pete Coors remains involved as do other Coors family members. Craft Breweries are owned by individuals who care about their brands. Jim Koch is the personification of this principle as are the owners of New Belgium, Sierra Nevada, Lagunitas, Founders, and others. Their passion is their beer. In the corporate world today, shareholders are the focus for senior management. For marketing and advertising executives, it is all about awards, trophies, and padding their resumes. It is not about brand equity, family, or wholesalers. Until the corporate beer world changes, to these executives it is all about the envelope please. My first supervisory job was in the beer division of Julius Schepps. This was in the early 1970s and Schepps, a wine and spirit house, also represented a number of regional beers including: Lone Star, Jax, Hamm’s, Colt 45, Champale, Right Time, and Lowenbrau. Given the tremendous growth of the national beers, Schepps started to downsize their beer division, but still continued in the industry. By the time I had joined Gambrinus in the mid 1990s, Schepps was representing Corona, Shiner, Guinness, Moosehead, and other fine imports. Still, Schepps was a big wine and spirit house and their business model did not include servicing certain parts of the retail industry including c-stores. While Modelo and Shiner were growing, the Schepps business model was holding back the potential of these brands. By 1997, Lee Schepps, who ran the company, decided to sell. The beer division was sold to Barry Andrews, who, at that time, only had Miller and a few other brands. At closing, I told Lee Schepps that he did not know what he just sold and turned to Barry and told him, he did not know what he just bought! In the first three weeks Barry had Corona, his sales team made 247 new placements in c-stores alone. Sales flew in the first year and when we reviewed his performance, Barry had hired 33 new people to simply handle the volume and growth. When asked if he would buy these brands all over again and he said, “Yes, without a doubt!” Obviously, any concerns about adding additional staff were not relevant. At the start of 2013, we learned that Reyes had purchased Windy City, an independent beer house specializing in crafts and a few imports. In their 10 years in business, Windy City had grown from a 50,000 case operation to just under 1 million cases. Reyes paid in excess of 70 million for this company. This shows just how much Reyes was willing to pay to gain access to these crafts. While Windy City had done an outstanding job of building and growing the company over a 10 year period, they were still limited in resources. In spite of the political and supplier issues in the greater Chicago market, Reyes was able to make this acquisition and kept Windy City a separate operation. Reyes, with its army of people and almost unlimited resources, was able to apply all of their skills to Windy City. In the first year, Windy City’s sales were 1.3 million cases, an increase of +400,000 cases! The Reyes/Windy City success is the personification of the frustration crafts are having with wholesalers today. Crafts are begging for focus, most know or suspect that their brand would fly if only they could get to the market. In many cases, that is true, but state franchise laws, combined with the growing performance requirements of AB and MC, continue to handicap these vendors. The success of Reyes, and that of other wholesales in the craft industry, has wholesalers investing more and more into this segment of the industry. For the craft vendors, it is not fast enough. The beer industry was been taken aback by the amount Reyes spent for Windy City; however one can look at this purchase by Reyes and say: fortune favors the bold! Even God can’t hit a one-iron…..
During the 70s, Coors Brewing Co. began to market directly to Hispanics. One of their first actions was to hire golfer Lee Trevino as their celebrity spokesman. Trevino, who was at the top his game, had an agreement with Coors which required him to participate in six outings annually using a Coors-identified golf bag when playing west of the Mississippi. 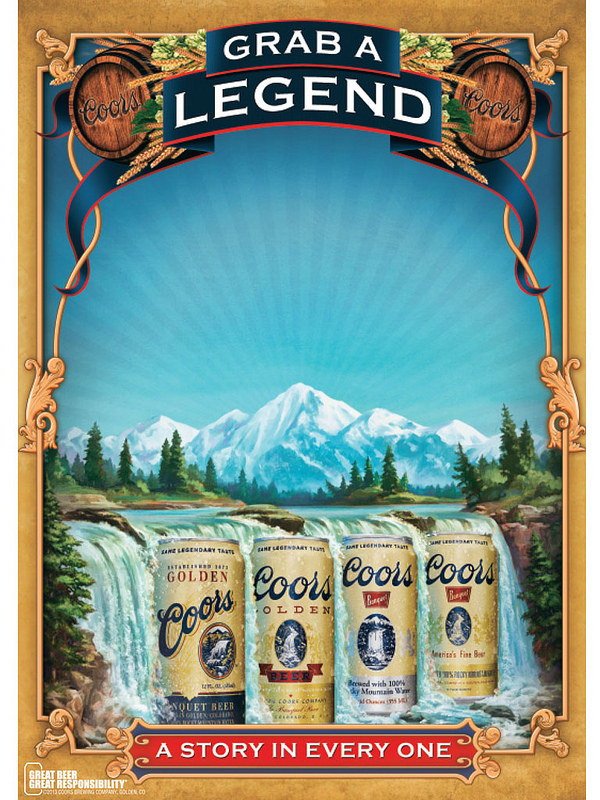 At that time, Coors was only sold in the western US. Today, Trevino occasionally plays at the same golf club I play. He periodically refers to the time he worked with Coors, looking back on those years with fond memories. He no longer drinks, but references the fact that the last beer he had was a Coors. Golf and beer have been linked together forever. For many golfers, their favorite hole is the 19th hole drinking a cold beer while they settle their bets for the round. Most wholesalers and breweries sponsor golf tournaments, many for charity. Retailers and importers are doing the same, too. AB, featuring Michelob, has been a long time sponsor of the PGA tour. Recently, my former company, Warsteiner, signed with the European Tour as its sponsor. Warsteiner also participated in the senior tour. The golf industry went through rapid expansion beginning in the late 80s thru the 90s. Hundreds of new courses were opened, most tied to upscale housing developments targeted at the soon-to-retire baby boomers. This rapid growth continued, outside of the dotcom bust, until the recent recession. Between 1986 and 2005, 4,500 net new courses were added. In fact, the golf industry is contracting now at an alarming rate. In 2013, for the eighth consecutive year, more 18-hole equivalent courses closed in the US (157) than opened (14), according to the National Golf Foundation. Soon the beer industry will have 3,000 breweries producing beer. The industry’s trend is the reverse of golf’s trend, with less than 50 breweries in 1980, now we see at least one new brewery open every day. Currently there is no sign that this trend in new brewery openings will slow down, in fact, it is increasing. In golf, affiliated organizations including the PGA, R&A, the Masters, First Tee, and many others have tried to develop programs to increase participation in golf. These are funded in part by golf manufactures and other companies who have an invested interest in the game. In beer, like golf, the overall industry has been contracting, and it appears that the decline in sales is increasing. Several segments, however, including craft beers, ciders, and some imports are really flying. Domestics, as we know, are struggling. So the question now should be: When will the rapid growth of new brewery openings reverse, to the point that closing breweries out number openings, similar to today’s golf industry? If something can not go on forever, it will stop…. Beer Marketer’s Insights just published the annual list of the nine beers Americans no longer drink. What makes this year’s list so interesting is that it has three new brands that were not on the list in 2012. Of the three new brands, the new number one brand is Michelob Light, which has lost almost 70% of its volume since 2007. This translates to a loss of 700,000 bbls. in overall volume. Obviously, the great success of Michelob Ultra explains why Michelob Light is where it is today. Labatt Blue is also new to this year’s list. Blue comes in holding the number nine spot down 28.8% since 2007. Blue is also having trouble in Canada, losing half its market share from 2007, down from 10% to 5%. The future of Labatt Blue in the US will depend on what happens at North American Breweries which will be under new management later this year. Coming in at the number eight position is Budweiser. Bud, which is down 28.8% since 2007, was once the largest selling beer in the US. In fact, Budweiser still sold almost 17 million barrels of beer in 2012. In the January 2013 post “All We are Doing is Rearranging the Chairs on the Titanic,” I highlighted the various reasons the nine beers have declined in volume. These reasons included, line extensions, lack of marketing support or ineffective positioning, pricing, and other ongoing issues. However, in the case of high volume brands, such as Budweiser, the product life cycle curve should be considered. Historically, the beer industry has seen hundreds of brands and breweries come and go. Even now a number of brands, which at one time were viable and good sellers, are being resurrected and called retro brands. That being the case, and considering the product life cycle curve, the list of beers that Americans no longer drink in 2025 might include the following: Bud light, Coors light, Miller Lite, Budweiser, Heineken, and Corona! Moving forward another 10 years, the “no longer drinking” list might look like this: Sierra Nevada, Yuengling, Fat Tire, Sam Adams Boston Lager, Blue Moon, and Dog Fish Head. Consider by this time the list of top 10 best sellers. It is possible that those beers may not even exist today. While as crazy as this may seem, consider how many of the top breweries of 1970 are still in business today? How many of those brands are still around and which ones are still considered viable enough to sell and support? When Miller Lite was first introduced in the early 1970s, how many industry people believed it would be as big as it eventually became? How many industry people in 1980 believed that the Jos. Schlitz Brewing Co. would sell and eventually die with fifteen million bbls. in sales? Finally, how many industry people believed that AB would be acquired by an international company, or in fact, any company? The beer industry is, has been, and will always be an industry that consistently changes. So, if something cannot go on forever, it will stop!